Steve Matteo has more than 20 years of photographic experience and knowledge. He was recognized as the photographer of the year (2012) by WPJA. There is no one more passionate and dedicated as Steve to capture the best day of your life. He has given a new face to Chicago wedding photography with his unparallel photojournalism. Along with taking up wedding assignments Steve also takes photography classes and workshops. Apart from wedding pictures Steve specializes in many different genres of photography. This makes him a far more versatile photographer than his competitors. Closer Professional Photography was founded by Adam Shuboy, a freelance photographer with over three years of experience. Closer Photo offers PPA certified professional photography on each photo shoot session. For brides who need more information, Closer offers pre-shoot consultation and a complimentary engagement session shoot to all booked clients. Closer bases its photo sessions on timeframe and not photos, so wedding clients receive unlimited images and shots as long as it is within the photoshoot timeframe. Clients also receive all copyrights to images and a DVD album of all wedding images in high resolution. Harold Crane has maintained the reputation of being one of the most sought after wedding photographers in Chicago, IL for around 30 years. With his huge experience, creativity and immense knowledge he delivers the finest moments in print. Certain special and spontaneous moments that young and new photographers might miss out is effortlessly captured by Crane. Along with Crane there are a few highly professional and reputed photographers who are a part of Crane’s Photography. With wedding photographs look out for the finest wedding portraits that Crane’s is so popular for as well. Capturing a wedding is like telling a story that will last for generations. 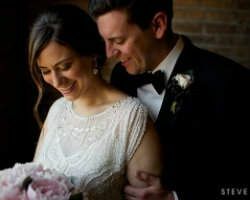 Robert Sojka is one of the top Chicago wedding photographers who have the talent and expertise to do that. For years Robert has been taking some of the award winning wedding photos in Chicago. He has been rewarded the Bride’s Choice Award year after year for his spectacular portrayal of wedding ceremonies. Along with indoor weddings Robert also specializes in outdoor and destination wedding ceremonies. He will cover your engagement, wedding and other events that complete the entire celebration. If you do not feel like posing and offering a fake smile all through a wedding photo session then you must contact Ogia Photos. The photographer specializes in capturing spontaneous and natural moments during the entire ceremony. You could call and discuss the style of photos that you are looking for and you will be given a quote over the phone. Then you could customize the photography plans according to your budget. Ogia Photos has got Best of Chicago Wedding Photographers Award in 2011 by US Commerce Association. To capture the most wonderful and impulsive moments of your wedding contact Ogia Photos. 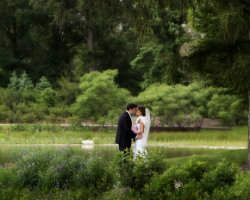 Edward Fox is one of the most experienced and highly reputed Chicago wedding photographers and wedding videographer. They have been capturing priceless wedding photos for 112 years now. There are very few photo studios in Illinois that has such a history in wedding photography. Edward Fox is also popular for providing the best prices and rates that fit every budget. There are many different wedding packages that you could choose from or customize your own package according to your need. Though over the years they have evolved in technology they continue to maintain their age old charm and charisma. 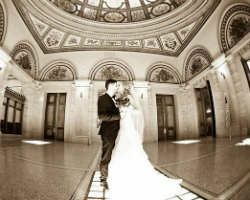 Chicago wedding Photographer Cipriani Rusu offers both wedding photography and videography services. However, the most amazing photo service that they offer is to capture the wedding proposal. Yes, if you are planning to surprise your girlfriend by proposing to her in a grand way, and you wish to capture the moment forever, then Cipriani Rusu will do it for you. He is also known for his fabulous photojournalism, creative and candid shots and storytelling ability via photos. Make sure that you take his Wedding Photo Booth service so that your guests could also have fun while taking some pictures there. His love and passion for photography will reflect in your wedding album forever. If you are looking for fun, color and vibrancy then no one can do it better than Steve Koo. Steve is one of the one most celebrated wedding photographers in Chicago. He has given a fresh yet timeless appeal to wedding photography. He has been awarded with many rewards and accolades that speak highly of his talent. He is also a member of the International Society of Professional Wedding Photographers, Fearless Photographers and Wedding Photojournalists Association. Since he travels all over the world for assignments you might want to book a schedule as soon as you got the dates. Everyone wants to choose the best wedding photographer for their special day, someone who will capture your memories forever. 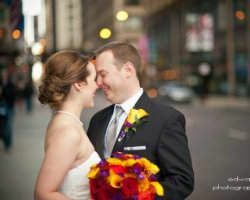 H Photography boasts some of the most traveled and celebrated wedding photographers in Chicago, IL. H Photography believes in capturing the wedding through candid images while incorporating photojournalism, landscape, fashion, and portrait photography. This photography team is a must if you plan on having a destination wedding. Their European flare and artistically inclined skills bring out the passion from every shot.